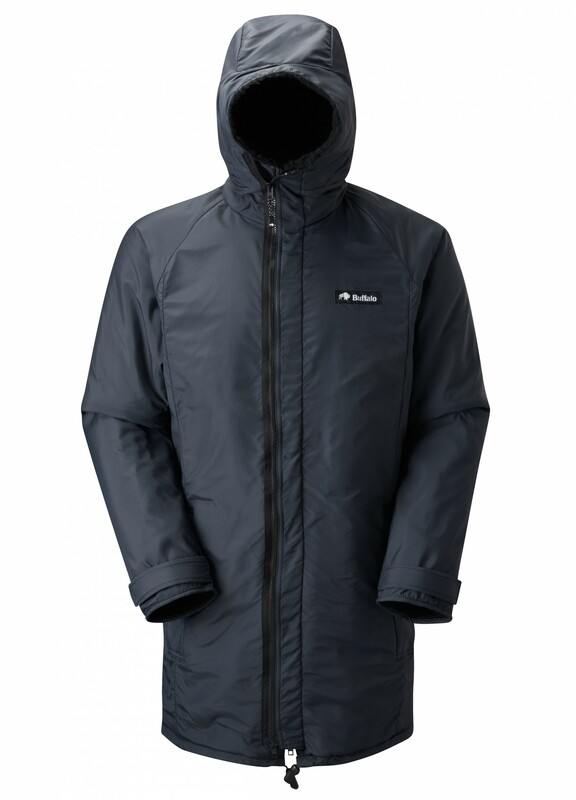 The same design as the Parka but with a Pertex® Equilibrium shell and AquaTherm lining. 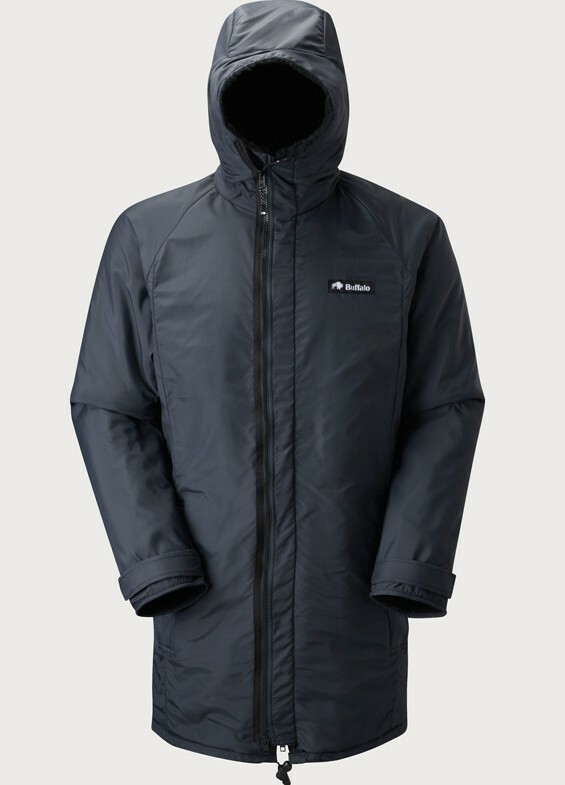 The Equilibrium face fabric and AquaTherm pile make this jacket highly breathable with rapid moisture transfer from the inside. Ideal for high level walking in the worst British weather. When researching the Buffalo Lightweight Parka, I really struggled to find any reviews online – I hope my review is helpful to you. I have an old blue Buffalo Parka (with the red ‘Buffalo’ logo) and updated it with the Lightweight Parka, which is an excellent jacket. I really like the Equilibrium Pertex outer – I like the textured feel and think it looks very smart. The black colour is more like a very very dark grey which I really like. The sleeve length is longer than on my old Parka, but still not as long as my Buffalo Alpine Jacket. I prefer the longer sleeve length on my size Large Alpine jacket to the size 44 Lightweight Parka. I love the cosy snorkel hood on the Lightweight Parka, which feels so comforting to have up in bad weather; my only criticism of this hood is the edges flap about too much in high winds, obscuring my vision. This does not happen on my old Parka and I wonder whether the pertex/pile combination on the LWP is lighter than the Parka which seems somehow stiffer and less affected by wind. I am very happy with the LWP and would highly recommend this great Buffalo product. As I already own (and love) a Special 6 Shirt, I had no qualms about ordering the Lightweight Parka. On arrival, I found it to be much lighter than I was expecting, but nevertheless very warm. The outer material is soft and, when compared to the Special 6 Shirt, has a more structured and less silky feel to it. That’s not a bad thing though, just different. It’s very well put together, with all seams well stitched. The cinch cord around the waist, accessible only from inside the parka, does a great job of preventing the cool air coming up from underneath. Additionally, with the cinch cord tight(ish) on the inside, nobody would ever know, as it doesn’t result in any kind of skirt effect on the outside. The parka therefore hangs nicely off your shoulders and straight down to the mid-/lower-thigh area. The lining of the parka does the wicking job well and is particularly comfortable around the neck and face. When in fully-zipped and hooded mode, it’s almost unbearably warm, but gives me lots of confidence when heading out into the elements. There’s a generous amount of room under the arms too, which I like. The pockets are quite deep, resulting in me bending a bit to reach the bottom. However, that’s the only very minor negative point in what I believe to be a fantastic product that not only performs well, but looks great too. Highly recommended.